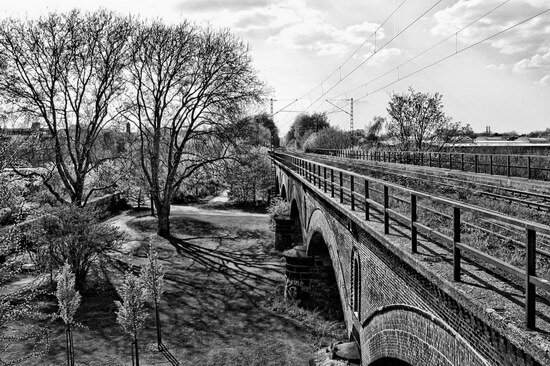 The view from the western end of Mülheim’s railway bridge over the viaduct, back when there was still occasional trains running there in 2004. There was already plenty of grass growing on the rails and it was not be long before the track closed completely. If you climb down the stairway and go to the left, you end up in the former MüGa area between the Stadthalle and the viaduct, where a big gardening show, one of the Landesgartenschauen was held in the 1992 – this will be a subject of another series sometime.